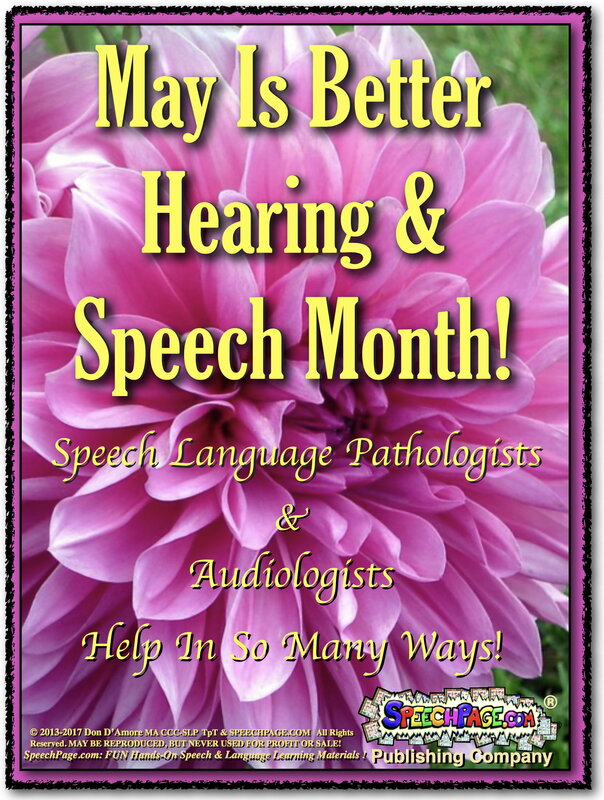 You know that May is Better Hearing and Speech Month, but how can you let everyone else know? 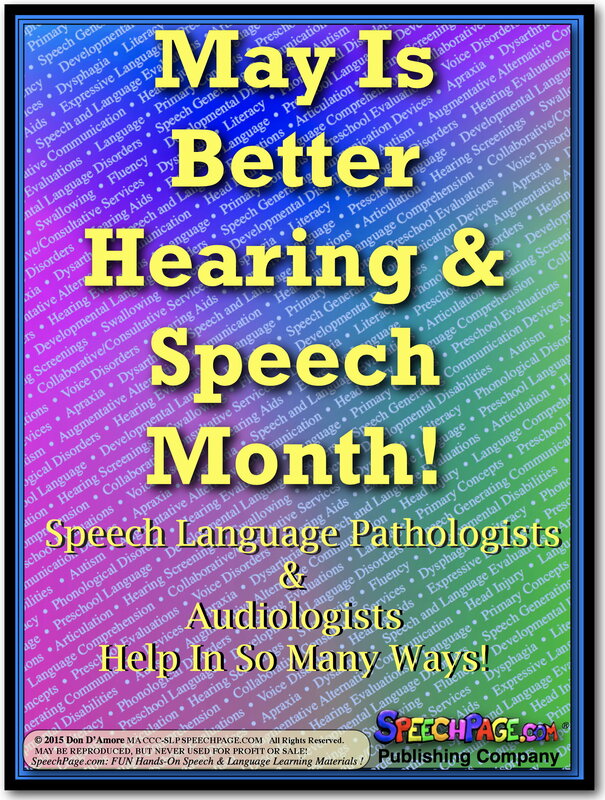 SpeechPage to the rescue! 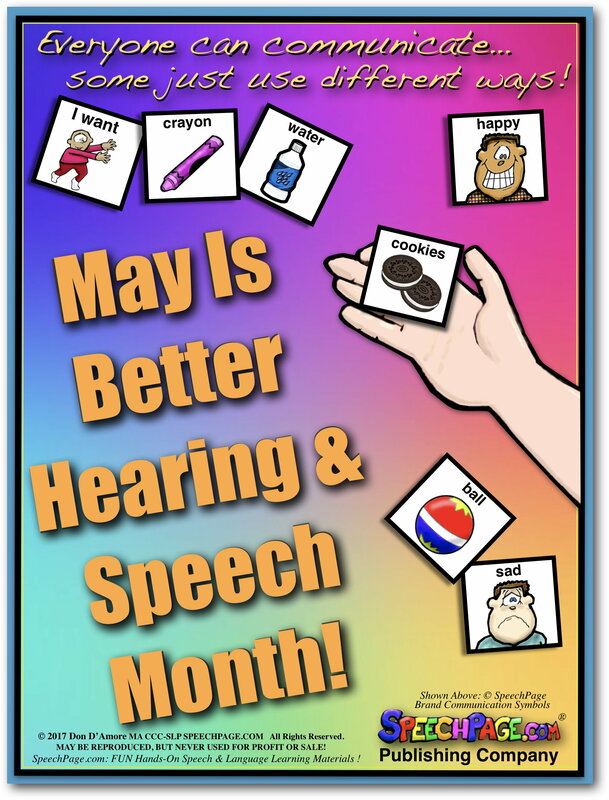 Download and print our handy FREE colorful May is Better Hearing & Speech Month Mini-Posters! 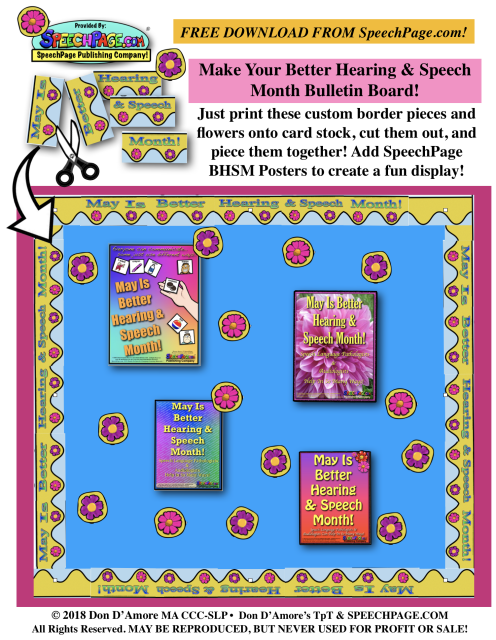 PLUS Our FREE Bulletin Board Borders are customized for Speech Month! 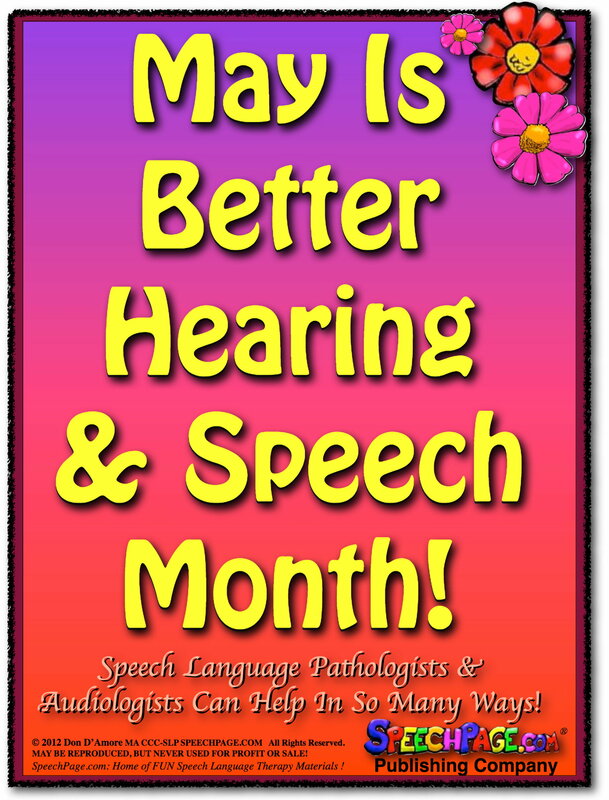 Better Speech and Hearing Month Posters are designed to help you let everyone know about our profession's special month!